Update: 2018 Tour is open for registration! 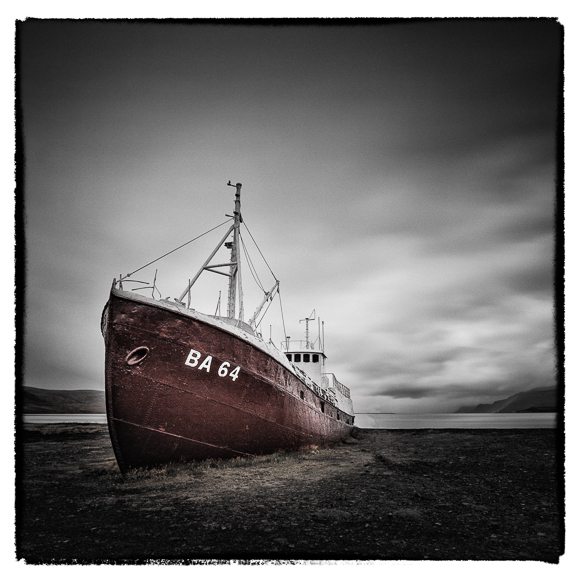 Most workshops in Iceland concentrate on the southern coast and its tourist packed sights and photo opportunities. For this fantastic photo tour, we like to take you off this beaten path to instead visit 2 of the most beautiful, yet often neglected, areas of Iceland: The incredible Snæfellsnes peninsula and the majestic Westfjords. We'll visit huge cliffs, historic lighthouses, deep fjords, amazing waterfalls, authentic shipwrecks, deserted fishing villages and more. On our way to the sparsely populated Westfjords, we begin this photo tour photographing the wild coastal landscapes of the Snæfellsnes peninsula. After a very scenic boat trip we arrive in the Westfjords. As we continue to travel further north and closer to the artic circle, we'll see fewer and fewer tourists, but photographic opportunities are plentiful and become increasingly unique the further we venture off the beaten path. This is the perfect photo tour for those who have visited Iceland before (and want to come back for more), as well as those interested in exploring more remote areas that are neglected by most photographers. On this tour, we stay far away from the overun and over photographed sites along the south coast! Join international award-winning Fine-Art Photographer Marc Koegel for this unique Photo Tour opportunity. 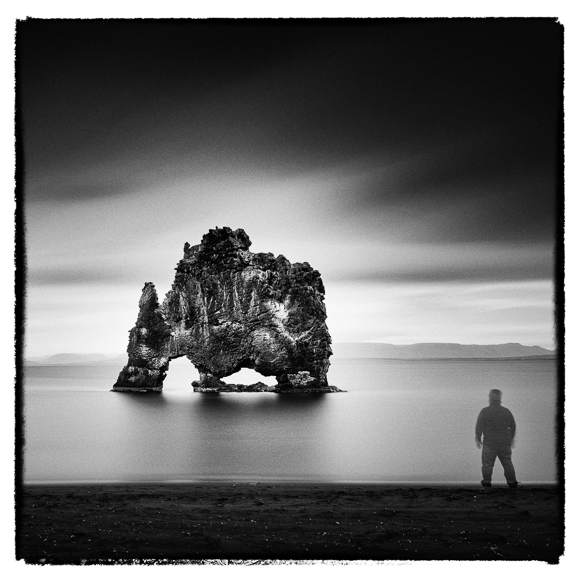 Marc's imagery from Iceland has received numerous international awards, most recently he was awarded 'First Prize' in the PX3 2015 Competition. The jury selected PX3 2015’s winners from thousands of photography entries from over 85 countries. With a maximum of only 6 participants, this photo tour is small enough to guarantee you lots of personal interaction, guidance and instruction. Iceland is only a short 3 hours from London (or 5 hours from Toronto and/or NYC, Boston). This exclusive workshop is limited to only 8 participants and includes 6 nights accomodation (single room occupancy), all breakfasts and all travel (even airport transfers). Partipants can choose to photograph in black and white or color, using digital or film. Marc will demonstrate his long exposure style of shooting, but images can be taken using any technique you're interested in and familiar with. For this tour, our vehicles will be able to get very close to the great majority of our shooting locations. Hikes will range from 5 to a maximum of 20 minutes with minimal elevation gain. There will be opportunities to venture further for those who'd like to, but it is not required. For those interested in staying longer after the workshop (or arriving a few days early), Marc will provide you with guidance and suggestions. Just contact Marc directly for more information and to start a conversation. To book your seat in this workshop, we require a (non-refundable) deposit of $1000, with the balance payment due by May 1st, 2016. You can choose to pay in full when registering (so no need to leave a deposit) and this would entitle you a $150 discount off regular tuition. You can choose your preferred payment option during online registration. The workshop group will meet in Iceland on the morning (by 10am at the latest) of September 16, 2018. It is recommended that you arrive in Iceland the day, or evening, before our meeting (so on September 15, 2018). On the final day of our tour, September 22nd, we will have you back in the airport area by early afternoon, so you can book a flight leaving as early as 2pm (or you can leave anytime the next day, September 23rd, but then you will need to book a hotel for that last night). Once you register for this tour, please contact Marc and let us know your detailed travel plans. Marc will be able to pick you up and drop you off from /at the airport in Keflavik, and he can also provide Hotel recommendations. "Marc you are a natural born teacher, and better yet, your photographs are amazing and inspire me to get outside and shoot." "This has been a wonderful virtual tour. I will be going back to absorb the videos and look forward to the final thoughts. You have inspired me to spend some time with some waterfall shots from a recent trip to Mt Fuji"
"In case, it's not obvious enough....THANK YOU MARC!! Much gratitude for all your insightful teaching, instructive crits, and great access...all made me a better photographer!" See Marc's work by visiting his website here!